TRAGIC STORY OF MY DISABLED DAUGHTER – PLEASE HELP! My name is Revekka Yevdayev and my daughter Anna is a severely disabled 34 year-old child with the mental capacity of a 6 year-old. Anna is being abused by the System that is designed to help disabled people like her. Please help me bring attention to this case! 1997-2001 Anna was attending Willenberg Educational Center in San Pedro, CA. 2001-2002 Anna was attending Kayne-Eraze Center in Culver City, CA. Early 2002 Anna’s condition was getting worse, her blood pressure was 75/25 with uncontrollable seizures. She started frequently missing school and because of her many absences she was discharged from the Center. She would spend the next 4 years at home. Middle 2002 Several months later her condition slowly started improving. Once her condition started improving I hoped to find a Day Program for her because I had to find a job and asked HRC on numerous occasions to help me. HRC ignored all my requests and didn’t provide any help. After not being able to get help from HRC I ended up placing Anna in a group home. I was not successful in getting any assistance from HRC because of my limited English so after numerous attempts I requested to change my counselor in hopes that a different person could help me. I met with the counselor’s supervisor Mary Hernandez but was denied this change. Neurologist Dr. C. Heck was not successful with her request to change counselor either. Middle 2006 Anna was feeling worse again. She was depressed and was suffering seizures. I became very exhausted from taking care of depressed Anna and battling with HRC trying to get help for us. During one episode I was helpless and called the police begging them to take Anna into a specialized neurological hospital. Anna was taken away. Instead of a hospital a depressed and disabled child with the capacity of a 6 year-old was placed in jail. She wasn’t given her medications and as a result her seizures escalated, and by the time I found out where she was she had a broken tooth. I had to post bail in the amount of $3000 to get her out. After this Anna’s case was transferred to Department 95 for the Disabled. However all court’s rulings were ignored by HRC. One of these rulings was to place Anna into a Day Program. Late 2006 Instead of the Day Program Anna was placed into a different Group Home in Norwalk, CA. She spent a total of 3 weeks there, but was treated so badly that 2 of the weeks she spent in the hospital. After 3 weeks at the Group Home Anna was brought back home after her strong request. Middle 2007 The lawyer who was helping us was finally able to convince the Court to order individualized services for Anna 3 times a week 2 hours a day. Anna showed significant progress while she was receiving this care. The program stopped after 1 month. Late 2007 Anna started suffering from depression again and as result we had numerous visits to ER at the College Hospital in Costa Mesa, CA. The HRC counselor tried to convince the Court that was the reason for Anna’s depression was my negligence and that she would get even worse. However, the lawyer-hired psychiatrist testified several times that Anna’s condition is ongoing and her depression is not a result of where she is at the time. He also suggested that the least stressful situation for Anna would be to stay at home with her mom. Middle 2008 Anna only received a probation and was brought home, and the Court appointed her to visit the Day Program. HRC only approved one kind of Day Program that unfortunately was not well-suited for Anna. While there she felt scared and insecure. In addition to that, she was suffering from liver dysfunction that was the result of her being overdosed on medication while she was in a Group Home. While in Day Program she was vomiting every day. The Day Program administrator finally suggested that Anna be taken home because of her condition. For next several months Anna stayed at home, and during that time there were no visits to the ER or calls to the Police. Late 2008 I received a message that I should appear in Court with Anna on December 2, 2008, and no explanation was given. When we arrived in Court, Anna was taken from me and taken to jail. I did not get any reasonable explanation, and all that was told to me was the same information provided by HRC 2 years ago. Anna spent 2 weeks in jail without medication. Because of numerous seizures she ended up having a broken leg. After jail Anna was put into Ambitions Group Home. The reason she ended up going to jail and then group home from home where she should be, is because Harbor Regional Center is doing everything possible to keep Anna in the system, because the government pays them $18,000 per month for every person! Middle 2010 Around middle of 2010, when I still was Anna‟s conservator, she started complaining of lower back pain. As it was my right, as a conservator, I’ve made an appointment with MD. Ber, who was treating Anna for many years, to find out what the problem was. KATIE HORNBERGER put denial on my rights. I didn’t get any reasonable explanation of this decision. Illegal decision, announcing illegal verdict: “Termination of my Conservatorship”. 1. As soon Anna would be seen by In depended Doctor, he will find out right away that She is overmedicated. 2. Without conservatorship I cannot get my daughter out of the webs of corruption System. After 2 months the conservatorship was revoked Anna was taken to the store. Leaved unattended she fells down and brakes right ankle in 3 places.In the ER, where Anna was brought, Doctor said, that Anna is overmedicated. No one from HRC called me, explaining of what happened. After 1 week, being in the Hospital, Anna was discharged into the Nursing Home. To save money HRC picked up the cheapest one. The Doctor requested, that Anna doesn‟t put any weight on her ankle at all. This request was completely ignored. She was not provided crutches, walker or bedside commode. When I came to visit Anna one week later, I‟ve noticed that her ankle is bleeding through the cast. This was Friday and I was assured by Adm. of Group Home Sandy Vergara, that the following Monday Anna will be taken to see Doctor. In Anna‟s ankle being severe infected. When I requested Physical Therapy for Anna, I was told, that I would be responsible for any expenses out-of-pocket. In addition to the broken ankle Anna was suffering from debilitating headaches and vomiting. One day I also noticed a concave impression on the right side of her head – the same side, as injured ankle. Once, I brought this up to the staff in an attempt to investigate where these bruises and injures are coming from, I was told, that I would have to pay for the test/procedure out-Of-pocket. Anna continuously gets horrible headaches. But $ 18.000 a month not enough to get Tylenol from over the counter. Sandy Vergara (Administrator of Group Home) is very lucky if in her 50-s doesn‟t have experience of getting strongest headaches, as my daughter gets, or she would know the difference between Tylenol and Ibuprofen and, maybe, would hear about problems of speechless patient. What can we expect from unprofessional staff if Adm. doesn‟t know the difference? For many years I am fighting to get my daughter out of the System, but Department of Mental Health with full support of Department 95-A intentionally holding my daughter for their financional gain, professionally terrorizing and destroying humans‟ health and lives. On 06/22/11 my daughter was brought to the court hearing barely moving, supported by 2 people (sign of overmedication). As always, our case was kept till very end – the System doesn‟t need unwanted eyewitnesses. 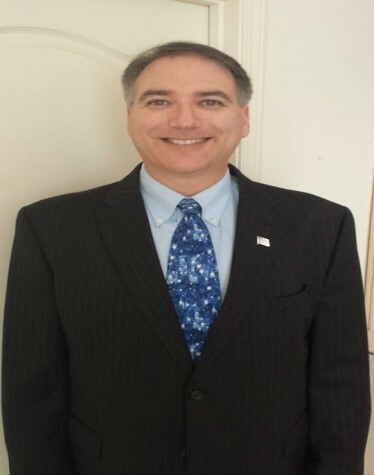 Director of Mental Health Department Mr. M. Southard to avoid punishment, ruled out the court hearing by his cruel way, using his broad experience of dealing with gravely disabled people. He cheated my daughter by his tricky way: outside of the courtroom he asked my innocent child if she wants to change Day Program taking her far away from real issue. It sounds HUMILIATING!!! Mr. Southard M., cheating my daughter, found simple way to keep my daughter one year longer to gain more money for the cost of my daughter life Anna is still being taken to the same Day Program, that doesn‟t fit her needs. Very noisy, crowd, Hot (no conditioner – saving money). Of course, Anna comes Home barely alive, having more and more seizure. In spite of my numerous requests the Day Program Staff quid Anna to public toilet instead providing her of individual bucket to vomit when she feels sick. They ran the risk of sickening Anna further with their ant sanitary handling. And it‟s under “silent” supervision of Commissioner of Department 95-A LAURA HYMOWITZ, of Dir. Of Department of Mental Health MARVIN SOUTHARD, Acting Director of Patients Rights of DMH JEFF COHEN, Public Guardians TANEISHA FRANKLYN, Dir. Of Harbor Regional Center PAT DELMONOCO, Attorney of HRC RICHARD SCHWARTZ, Adm. Of Ambitions Corporation RICHARD PEACE. 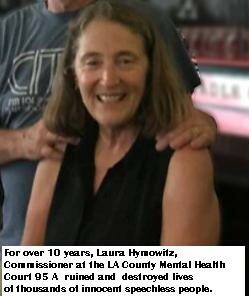 Trying to avoid deserved accusations and shameful publicity commissioner of Department 95-A Laura Humowitz and Dir. of DMH Marvin Southard use cruel and heartless way to force me to close already nationally well known website. During numerous meetings through involved parties I got ultimate demand – to do “favor” to both untouchable authorities and close my website right away. (By my knowledge, my website is not only one existing site, which reflects criminal and illegal activity of empowered couple). Immediately after my refusal I was told briefly by Administrator of Ambitions group home Sandy Vergara that I am not allowed to visit my daughter and even contact with her via the phone for 1 month!!! One week later I got back my rights for calls and visits. On 01/06/2012 I’ve got call from counselor of Harbor Regional Center – Iolanta Rodriques, who shamelessly announced briefly AGAIN, that I am not allowed to visit and call to my daughter. No reasonable explanation was given. Talking to me, Iolanta Rodriquez didn’t have any papers about Denial of my rights.But, after my strong demands after 3 hours I’ve received by Fax freshly created so-called “document “, as denial of my rights. Instead of needed help (to cancel immediately ILLEGAL decision, maiden on behalf and to please above mentioned couple), which was expected, no one word of explanation I deserved to get from DESIGNATED AUTHORITIES. I got clear picture that the System, which was created to serve needs of Mentally disabled just leads by own created rules, what is far away from Law requirements. When I’ve called to the Board of Supervisors – District 4 , asking for help I was connected to REBECCA TIM. She assured me that issue regarding Denial of my rights will be reviewed and decision will be mailed to me as soon as possible. After 2 weeks I’ve tried to get an answer from the same person REBECCA TIM and she simply didn’t remember the case number of my suffering daughter. On 02/07/2012 I’ve got letter from Assistant Of Presiding Judge DAVID S.WESLEY. He wrote, that “ forwarded the letter to the Hon. PATRICIA SCNEGG – Supervising Judge of the criminal courts” (back to the very same court, that made an original unjust decision, the sole legality of which I have questioned and ask to overturn) . On 03/13/2012, followed advice of Hon.SAMATHA JESSNER, I’ve appealed to COMMISSION ON JUDICIAL PERFORMANCE. On 05/15/2012 I’ve got very predictable response from COMMISSION ON JUDICIAL PERFORMANCE. It took 2 months to send me determination “not to take further action on my complain”. No doubts, that, covered by high ranks members of Commission fully patronize and support ongoing crimes, corruption and lobbyism in the Health System, creating disaster and danger for the State of CA, damaging international reputation of entire country, as well. And it happens with the full absence of control of the Governor of the State of CA JERRY BROWN, who simply ignores interests of people in needs, covering and hiding wrongdoers from investigation and punishment. Trying to pull Anna out of corrupted System at the end of 2011 our family hired a lawyer JOHN E. ROGERS (law firm of CAR EN NIELSEN} to get back ILLEGALY taken conservatorship. However, the System used attorney, hired by the family, for its own interests to inflict next in turn in moral and material damages. Incontrovertible proof of collaboration between attorney, hired by the family, and court- is “FORGETFULLNESS” of both parties to inform family about day hearing. Just 3 weeks later the court hearing we recognized, that court (instead August had place in June) declined our request to remove Public Guardian (who protects interests of the court and private companies, but not conservatee) from conservator. Anna was not present. No surprise, that that case was not done to benefit Anna’s interests.For 8 months Anna is without any reason (one of main diagnosis- depression) is not allowed to speak to loving family. For 8 months, ruled by the attorney, we didn’t make any reports to Police or Licensing, although Anna was constantly beaten. 07/29/2012 – Anna’s birthday. Our big family once again became a witness of numerous bruises and scratches on Anna’s body. To hide real situation going out Administrator of Ambitions Group Home, as always, prohibited taking pictures with the family. Anna’s health is going worse and worse. 09/07/2012 – because I have in my possession Anna’s REQUEST to protect her, signed in the presence of many witnesses, I’ve called to Administrator of privately owned Ambitions Group Home RICHARD PEACE and told him, that I am going to use Anna’s REQUEST to get second opinion. His reaction was very predictable. He started to scream, that Anna doesn’t have right to sign any papers (she has just right to be beaten, to be overmedicated, mistreated by the staff, discriminated …. ). Finally, he advised me to call TENESHA FRANKLYN- Public Guardian. He was very surprised when I’ve told him, that TENESHA FRANKLYN doesn’t work anymore. DAYNA COLLOWAY works instead. He promised to call me back, after he finds out of what is going on. Of course, he didn’t call. His behavior is understandable. If I take Anna to in depended Doctor- right away Doctor will find out, that Anna is overmedicated (as it was before). In 2 hours called DAYNA COLLOWAY. “Prepared” by RICHARD PEACE she was very rude and arrogant. She didn’t listen to me about Anna’s health, but she said, that next week she is going to visit Anna and after she will – decide when to call me. Probably, she doesn’t know yet, that even one of the main “gamblers” of Mental Health System Dir. of Human Rights is JEFF COHEN recently “retired” …..
09/11/2012 – Call from Ambitions office. The person introduced itself as /OLANTA RODRIQUEZ (although, I didn’t recognize her voice). 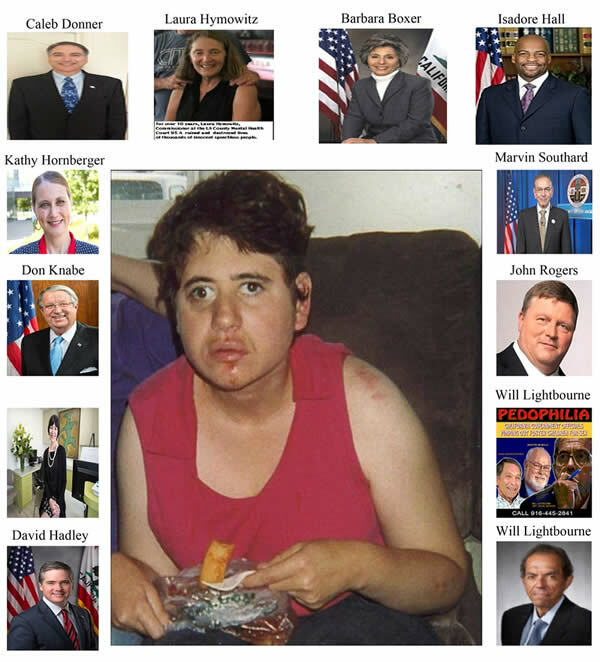 She said, that they (/OLANTA itself- representative of socalled “non-profit” organization, as HRC; RICHARD PEACE- Administrator of privately owned Ambitions company in California; SANDY VERGARA – Administrator of 184 place Group Home, owned by private company Ambitions; GARY GEER, who works under umbrella of privately owned company Ambitions and Harbor Regional Center -psychologist) have gathered together (why not? Money are going out of Anna’s pocket) TO INFORME ME briefly again (no one wants to leave traces of committed crime), that Anna doesn’t have right to speak or have visits from her family. (/OLANTA RODRIQUEZ has forgot, that already 8 months as Anna doesn’t have right to call to her family). No reasonable explanation was given. “Gamblers” of the System are not original. 2 years ago the same way was used to remove conservatorship when I’ve asked permission to take Anna far second opinion. AGAIN, to blackmail me, involved interested parties sadistically destroy Anna’s already ruined life. AGAIN, I was referred to so called clients rights advocate of HRC (who protects interests of Harbor Regional Center, but not clients) EVA CASAS SARMIENTO. On my request to provide written explanation with the reason for denial, she shamelessly told, that is not going to give any reason (the reason only one- Anna’s request in my possession and my demand for second opinion). 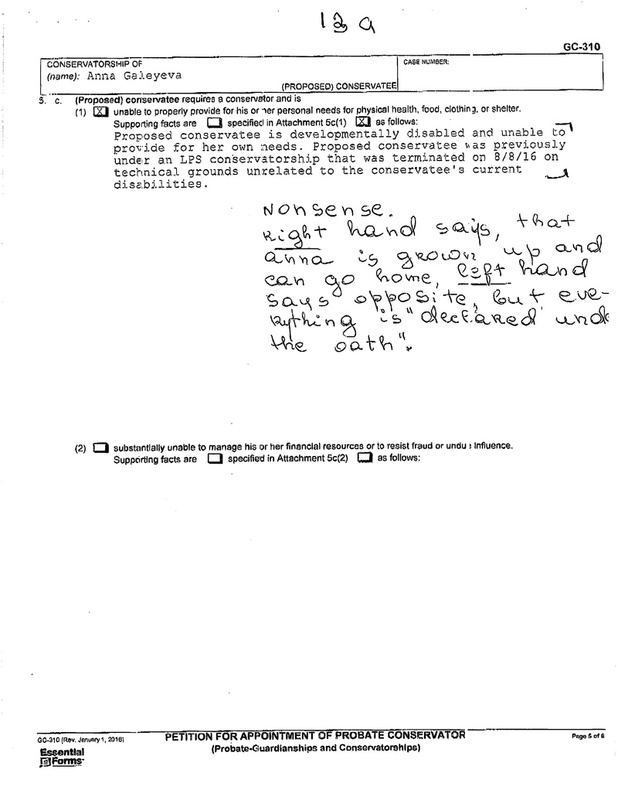 After arguing EVA CASAS SARMIENTO sent freshly1’created” so called “document”, as “Denial of Rights” of Anna Galeyeva. AGAIN, so called “attorney”, by signing piece of paper as so called “Denial of Rights”, covered private company as AMBITIONS and her friend from Harbor Regional Center /OLANTA RODRIQUEZ. AGAIN, trying to punish me, the System punished severe disabled child with only reason – to keep her in its webs, gain more money, and avoid real situation spread out. 09/12/2012 -I dropped food for Anna in front of the house and went to see some neighbors, who is very dissatisfy with Ambitions Group Home. Right away came RICHARD PEACE and called to police! AGAIN- the same reason – to avoid real information spread around. 06/07/2013 Due to horrible bruises on ANNAS’ body Police was called – to make a Welfare Check. POLICE OFFICERS were not allowed to make pictures. No one will help me, because we are in USA (one of 3 countries in whole world, who didn’t sign Convention on Human Rights…). At the end of conversation she suggested, if I am not satisfy, to call to Public Defender Office (323) 226-2932, what I did. I found out, that since 2010 Anna doesn’t have Public Defender. Again, COMMITED CRIME. At last, Group Home doesn’t have Administrator. Unprofessional staff does, whatever wants. 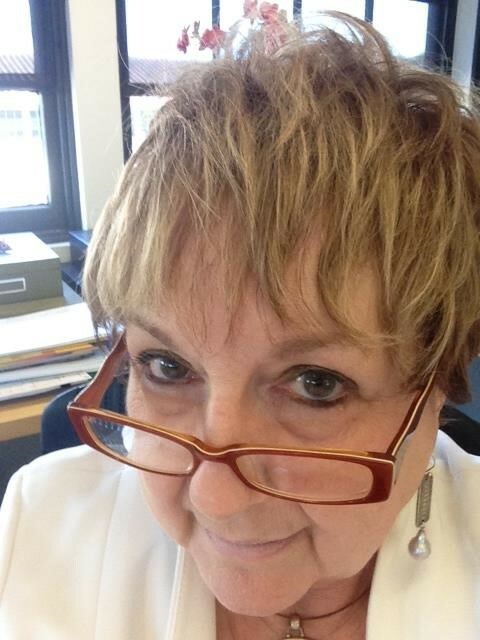 On 06/07/2013 – very the same day, so called “counselor” (another wrongdoer) from Harbor Regional Center CHARLIE GRATTO (310) 540-1711 also was trying to assure me, that HOSEPHINA is Administrator….. BOTH ARE LYING, TRYING TO COVER ROTTEN SYSTEM. On 06/07/2013 PRESIDENT BARAK OBAMA, while visiting state of CA, instead, in observance of July 4, admit, that Health System (including Mental Health System) FULLY DESCREDITED itself, shamelessly has congratulated the GOVERNOR OF THE STATE JERRY BROWN with perfectly reorganized Health System. Thus, President covered up all crimes, committed by “REORGANIZED” System. No doubts left, that President simply supports crime and mafia. I gave up to bring justice to the horrible situation to get my daughter out of the Criminal System, supported by the Government. And I’ve decided to get out of country as a political refugee. Representatives of Corrupted System, as Jacklyn Cordell, Dayna Colloway, Ann Fortson (Public Guardian Office); Mary Hernandez ( Harbor Regional Center) completely lost control and were screaming as crazy, that they will not allow me to go out of the country, like they can rule by me and my family. Because, in July we will get another court, “wrongdoers” began “fabricate” new stories about me started from April. (To be prepared for the court). 05/30/2014 I was invited to so called annual meeting. I went together with journalist Terrelle Jerrings, who is trying to write book about “Human Rights” in” Democratic country”. But he was not allowed to stay (the criminals don’t need publicity). As I was explained, the reason of the meeting is complain of representative of Harbor Regional center on call by name Mercedes. I was blamed, that, calling almost every weekend to HRC I bother consular of Harbor Regional Center on call Mercedes. “And she is the one, who has maiden complain about me”. On my remark, that I don’t have too many choices on weekends, when Anna calls, hysterically crying, that she is afraid of the staff, I can call just to Police or representative of Harbor Regional Center on call. I’ve mentioned that, if, “reason” of meeting Mercedes’ complain, they should not bother them and me and “compose” everything they want (as always). When “Slaves of the system” realized, that, I recognized their “game”- further conversation was not necessary. Because all three didn’t expect me to remember about court and were not “instructed” by officials about next step so called meeting was over. 06/01/2014 Anna called and said that she is not any more Jewish. One of the staff by name Silvia given her cross and told her, that from now on she is a Christian. Before Anna was not allowed to speak to me in Russian . Now System wants her to forget her identity. My mother, survivor of Holocaust, under the Nazism didn’t go through as my daughter goes through in “Democratic country”. Instead, to search for absence of human rights (read – “money”) around the world, making mess and “creating” useless sanctions, designated authorities should return back and work with its mess. 06/30/14 – Court – re-appointment as conservator (RETROACTIVELY AND RATIFICATION OF ACTS). Through Police Officer I’ve passed papers (including my site) on the name of the Court, where I described what we were going through, being in the System for 8 long years and why I want to go out of country as a political refugee. Most likely, that Judge, whom I never seen before, didn’t read my site and needed time to decide what to do…? Decision was “found”. Judge told us, that because our lawyer didn’t come????? , we have to come back in 1 week. 07/07/14 – Commissioner of Department 95 –A, famously known, LAURA HUMOWITZ told me that, because this time MD didn’t come, we have to come back in 3 days. Obviously, Court knew it from the very beginning , because Anna was not brought and besides me no one represented her. 07/09/14 – On the list this time written, that the reason for the Court hearing is TERMINATION OF CONSERVATOR. Anna was brought hardly walking (OVERMEDICATION). “THEATER OF ABSURD” is ruled by main criminals – Director of Department of Mental Health MARVIN SOUTHARD and Commissioner of Department 95 –A LAURA HYMOWITZ. MARVIN SOUTHARD, as always, took Anna inside to exam her (execute). Later Anna told me, that he was asking where she is going with mother. Poor creature, missing our relative, told him, that we are going to Arizona (providing wishful thinking as reality ). Unexpectedly court room was full. When LAURA HUMOWITZ, pointing at MARVIN SOUTHARD, said, that MD.MARK BERRENSON…..???? Is going to test Anna, I became completely confused. (When International Tribunal will make decision to send MARK BERRENSON to jail will M. SOUTHARD also cover him???). Dealing with swindlers for many years, I expected everything, but not insolent lie, when wrongdoers carelessly are making audience in the court room their accomplices. As, if done pro forma, M.BERRENSON MD. (Read MARVIN SOUTHARD) asked Anna no significant questions. Commissioner, looking at Anna’s left hand, all over covered by bruises, asked counselor from Harbor Regional Center if she is aware. I’ve mentioned that it is normal. Reaction was horrible, but predictable (crime should be silent) – LAURA HUMOWITZ hushed me. Counselor said, that Anna is self -dangerous (no word about unprofessional staff), and Commissioner “swallowed” this pill, based on false diagnose. Further… LAURA HUMOWITZ said that, she is going to remove Public Guardian, because Anna doesn’t want to be conserved, and put Conservatorship over Anna on Harbor Regional Center. By representative of HRC she was told, that HRC doesn’t have lawyer any more… On my question why she doesn’t want to put conservatorship over me, Commissioner, as stung snake, refused it, providing irresponsible and absurd reason. Finally, she said, that, because this case is very complicated, patient will remain, conserved by Public Guardian (Of course, right away she’s forgot about Anna’s will). It means, that being involuntarily involved into games of criminal authorities, who “composed” very complicated case and “assigned” Anna to be guilty and to pay by her life and completely destroyed health to cover crime. The same situation, on 7/17/14, when whole world again became silent eyewitness when without ground USA has sentenced Russia guilty with only one goal- to start next in turn war with only one reason- to make mess and get more money. And, at last, on my request to release Anna under care of our big family for next step – DEPARTURE OF COUNTRY, AS A POLITICAL REFUGEES LAURA HUMOWITZ completely lost control , screaming, that she will not allow us to leave country?….. Probably, Commissioner has forgotten, that she is only insignificant screw in already started to shake corrupted System, but not a God. 2014-2015 Because criminal and corrupted System try’s to save money by any chance Ambitions Group Home doesn’t have an Administrator for several years…. At the same time the ration of caregivers to residents is on 2 to 4. Because of absence of supervision the highly unprofessional staff is free to do what they want, including over-medicating the residents . It results in the residents being dizzy and sleepy all day long. This leaves the staff with plenty of time to play on the phone, to watch TV, to gossip. There is no accountability and nobody seems to know answers to any questions. Very often, instead taking care of residents, staff runs their personal errands, entering into communication book falsified information. 7. In spite of court orders, maiden several years ago, Anna didn’t get any dental work to replace 2 teeth, because money, collected out of Annas’ pocket – were stolen. 13. Manipulating by the residents. 06/22/2015 – Monday . The court day. Anna was represented only by so called counselor from Harbor Regional Center Mishel Monserro, who’s found out at 10:3am,that Anna is transferred to ER. After she passed this information to “well known” Marvin Southard (sometimes he commits crime under the name ofMark Berenson) he took her outside of the court room to “ instruct” (how to commit new crime). When Commissioner Laura Humowitz (one of the main criminals) learned, that Anna is not coming, together with Marvin Southard and Representative from Public Guardian Office “dived” under the table (such low class and disrespect to itself) to discuss further steps. After a while, when they’ve got out from under the table, Commissioner announced many times, that next court day will take place on July 03,2015. Unexpectedly, talking to a representative of Patients Rights Office Rashid Jiffrey on july 02 2015 , I’ve found out, that July 3, 2015 is a holiday.To confirm this information I’ve called to so called Public Guardian Linda Chao, who ‘s confusingly told me, that court was today July 02, and she is still Annas’ conservator. Criminal Laura Humowitz, providing false information, has had intention, that I am the one, who should miss court day. Besides me all parties were informed. As I found out later, Anna was represented by Mishel Monserro – HRC; Jose – Administrator of Ambitions Inc.; Sheina – person, who positions itself as an Administrator of Ambitions Group Home 184 place in Torrance; Dorris Bell – Administrator of Sunfield Group Home; Brenda – ……..??? From my previous experience, most likely, gang of criminals have provided falcificated and fabricated documents, which were “successfully swollen” by the court. On July 16, 2015 Anna was taken again to the Hospital, where she should stay, at least, for 2 weeks. Again were provided fabricated documents to the Hospital . In spite of brave proclamations of Government, Americans are getting poorer and poorer. To keep “empty” dollar “alive” USA are “searching” for absence of human rights all around the world and chasing only one goal – to start new wars. Mercilessly sending young people to die, filling out its’ pockets. And, when those kids are coming back with PTSD Mental Department “gladly” accepts them, making again money, as it happened to my friends’ son Misha Bluvsteyn, who wanted to be a Doctor. The System used him, promising “golden mountains”. But after 4 years of servicing in Iraq, he’s got PTSD and as a result schizophrenia. Veterans Administration awarded him some money, which were “successfully” stolen… and poor creature was gladly “adapted” by System. The System did everything possible to isolate him from father and no one knows, if he is still alive. 2016 10 years since Anna was “adapted” by Criminal and Corrupted System. Working more and more with completely rotten System I fully realize, that USA doesn’t have fundamental rights which supposed to be protected by Constitution and Bill of Rights. Rigged courts, bribed judges, phony trials, extortion by lawyers. ultimately based in the corruption of the USA domestic legal system. Phony USA courts are very dangerous. The reality is, that United States of America, which proclaims itself as the “land of freedom” has the most dishonest and crooked legal system of any developed nation. Legal corruption is covering America like a blanket. Regional Centers, as part of this corruption, market itself as place that took clients no one else would. But in reality they don’t want people to leave, they don’t want them to get better. The plan is – to keep them there and continue to collect their money and to spend on their care as less as possible…(carelessly using chemical restrains – to subdue patients). And finally, in case, if so called investigation done, (what is almost impossible) – tight circles of interconnected business associates in multiple companies, rename its’ company, change the address and send criminals (who should spend life in the prison) for temporary retirement with next in turn step – after while to let them come back to destroy more lives of speechless, innocent people. So called “private attorney” Mark Berenson (who should spend the rest of his life in the prison without parole) after “announced’ retirement came out at the 23371 Mulholland Dr #238 Woodland Hills, CA 91364 (address before was 20841 Ventura Blvd., CA 91364). The phone is still the same (818) 591 – 2849 . Former so called clients rights advocate of Harbor Regional Center Katie Hornberger, who, after committed crime, “composing” fake documents, has gotten rise and now commits crime… as a Supervisor at the Departmentof Social Services in Sacramento (916) 504 – 5942, (916) 734 – 2011. Now, Katie Hornberger, having huge experience of committing crime, is “teaching” another criminals – so called Clients Rights Advocates, including Eva Casas (562) 623 – 9911, who works for HRC instead of herself. Some facilities will be closed “due the reconstruction”, just as branch of Harbor Regional Center in Long Beach (not due the horrible death of Zachary Brailey, former client of HRC) and will be opened again soon after so called ” “reconstruction” – to squeeze more and more money out of the pockets of taxpayers and and destroying at the same time millions of innocent speechless people. Within 10 years I am sending information (supported by documents, pictures) about crimes, committed by federal judges and federal employees. All collaterals (foster care givers, guardians, so called mental health professionals, parenting coordinators and many many others) harass, lie, manipulate laws (Federal and State). The Group Home, where Anna resides, is under investigation since November 05 of 2015. As I understand, Department of Social Services in the face of so called investigator NICOL WESTLEY (323)981-3971 will never complete this investigation. Right after so called investigation began the phone at the Group Home (310) 324 – 4482 was disconnected. On Wednesday December 09 of 2015 “marionettes” from HRC and Private Company Ambitions have maiden meeting with only one purpose – to bargain with me to close my site in exchange to give back Annas’ right to talk and to see her family, which was taken away right after so called investigation started. Anna is not allowed to see or to visit me. No written explanation of so called “Denial of Rights” was provided, because everything is illegal. But briefly I was told, that, if I don’t close site, never will see my daughter. Richard Peace representative of Private Company Ambitions (as he represents himself) said, that Anna never will go home, like she is his belonging. He knows very well how is organized Criminal System – just to grab speechless innocent people and squeeze out of them big money till they die (and after – sale on organs, as it happened to the son of my friends veteran of USA Misha Bluvshtein). No one is able to fight against so called “law” due to horrible chain of corruption, where one criminal covers another one and all of them try to please “Puppet Makers” of Corrupted and Criminal System, but not helping to disabled people, knowing full well, that all desperate attempts condemn to failure (especially if you don’t have money to hire attorneys (who are also on subsidy of very same System). Non-stopped conveyor of making money, built on the blood and tears of disabled people. 15. Numerous visits to ER with “composed” information about real reason of visit [(as it happened at end of 2015, when Anna was beaten, almost, to death by the staff and because of inability to breath was taken to ER, where was provided information, that she has fallen down (being alone with 2 staff members, because 3 another participants were staying at their homes with their families, celebrating New Year)]. Adepts of “Nazism” (read representatives of Corrupted and Criminal System) are not squeamish about any means they use. At the end of the May I’ve got letter from the court, that on June 06 of 2016 we will have court for reappointment of Conservator. 06/06/2016 court. 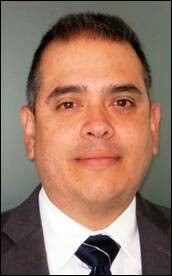 Instead of former Commissioner Laura Humowitz (who should spend the rest of her life in the jail but was happily “retired”), is assigned judge Daniel Huares . Judge is new to Department 95-A , but games are very familiar and still the same..
Anna was brought, guided by 6 people. I didn’t see her in 7 months. She’s gained, at least, 30 pounds. Most, likely, criminals again mercilessly increased medication. At the beginning of the court Daniel Juares “generously” invited criminals from HRC to occupy honorary place of jury trail and during the hearing was encouraging them, exchanging with them remarks by eye contact. Judge has called Annas’ name. 06/13/2016 – court. This time was another judge. Anna was “represented” by newly-appointed “private attorney” Caleb Donner, who is also on subsidy of Corrupted and Criminal System. When Annas’ name was called “hairy mongrels” from Harbor Regional Center, Ambitions Private home and private attorney were secluded among with the judge in the back room. They seemed lost when came out after confidential conversation with the judge. No one told me anything about decision, maiden by the judge. But most, likely, judge has told them to prepare documents for Anna’s discharge. During the break Caleb Donner in some reason was inducing me to make allowance…………. When, after the break, we returned back to the court room, Judge announced, that next court day will have place in August in the presence of jury trials. Twice I’ve brought attention of the court to illegality with phone calls and visits. Both times judge has promised to clear this situation. And, as always, criminals from HRC (“taught” by the another criminal from Disability Rights of CA Katie Hornberger) spit out at the court orders (if those orders were maiden) and manipulate by the way they want. 08/08/2016 next in turn court. “Pseudo guardians”, being fully equipped through the knowledge of the next step of the court, were not wasting time, working hard on tuning manipulatively Anna against me. She is so aggressive, that was not brought even inside of the court room. Her face is very swollen – additional sign of over medication. At 10-30 a/m judge has called Annas’ name. So called private attorney C.Donner and someone, whom I don’t know, among with judge (already known, Daniel Huares) without any explanation “disappeared” inside of the back room. It took, at least, 30 minutes before they came out with already maiden by default decision . C.Donner and the same “someone” had speech on Annas’ “behalf”. They were talking so quietly, that no one would hear anything. Crime doesn’t need witnesses. It’s understandable now why criminal Daniel Huares didn’t want to be heard. I will leave this statement on dirty conscience of all criminals of this Gangster Corrupted System. Daniel Huares, probably, having short memory, simply “has forgotten” the purpose of today’s’ court – Jury trail. He, proclaiming deliberately false information, by its’ dignity covered next in turn crime. I have been, very confused by provided fake information, and asked C.Donner if can put now Conservator ship (which was illegally taken few years ago under careful supervision of shameless Katie Hornberger – to prevent me from taking Anna home) over myself. It was trick, well-planned by criminals. Its’ understandable why Anna was manipulatively tuned against me. Plan was very primitive, as always. Because Anna is “capable” now and hates me at the same time she will stay at Ambitions private Group Home (who cares even if this house is under several investigations, including FBI; so called Administrator of Ambitions Company by name Jose, (as shoemaker’s wife is the worst shod) doesn’t have place to “work”; Ambitions 184 place Group Home doesn’t have Administrator for many years). ANNA IS STILL ISOLATED… FOR 9 MONTHS NOW. When I was leaving court criminal C. Donner, actively gesticulating , instructing another criminals from Harbor Regional Center, private home Ambitions (who still seemed to be very lost) about next step….of committing crime. Accordingly to these papers, where he “declares under the penalty” – that he is a lawyer of Harbor Regional Center (he doesn’t know, that another criminal – so called counselor Mishelle Monserro back in 2014 , exactly on 07/09/2014, in the court room, filled by witnesses, also “declared” under the oath, that Harbor Regional Center doesn’t have lawyer any more), asking court to appointLimited Conservator ship over….. HarborRegional Center….. 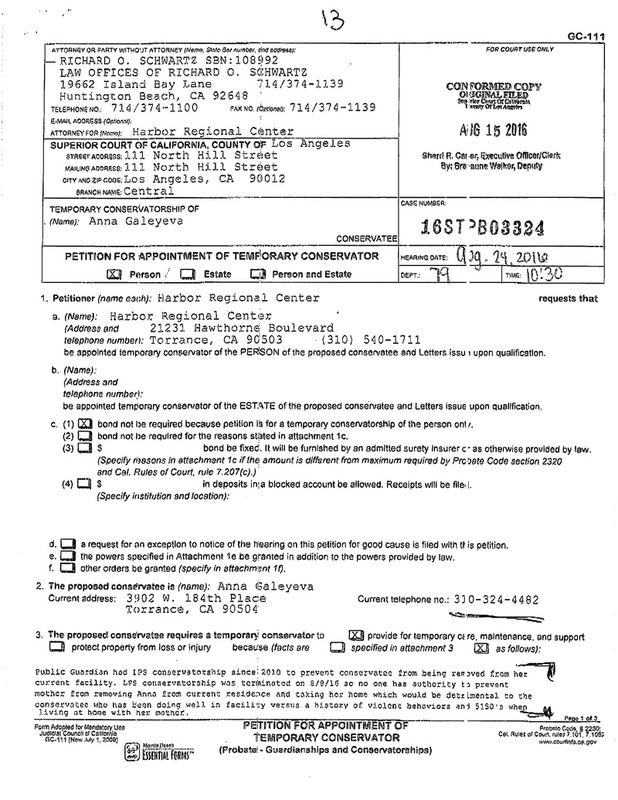 He, also, “declares under the penalty”, that house where Anna resides has phone number 310-324-4482, even, though, the phone is disconnected since 2015…. If, accordingly, to Daniel Huares Anna is capable why she needs Conservator ship, …. granted to”cloak” as Harbor Regional Center??????? Another hearing is set on August 24 2016. Because this letter also had a remark ( maiden by the court), that mom can take Anna home any time after the court, which had place on 08 August and no one can prevent her I went to Group Home on 08/19/2016 – Friday to see Anna first in 9 months. Staff didn’t opened the door for a very long time. Finally, one of the staff came out and again provided shameless lie, not supported by any written legal document, that I am not allowed to see Anna. On my request to call to Police It took staff, at least, 1 hour to call to Police and invite “assigned right away by itself” next in turn so called Administrator of the Ambitions 184 place Dorris Bell. Because criminals didn’t get instructions from Puppet Makers Police Officer, recommended me to rise this issue in the Court room on 08/24/2016 (he doesn’t realize how deep is this “cancerous tumor”). As I realized later it was very big mistake, maiden by me. August 24 of 2016 Wednesday – court day. Because it is new location (first in 10 years) it took more time to get there and instead 10-00 a/m I came 30 min later. Unexpectedly, “suppositorrius”, who “represented” Anna, led by “thirsty profit”, were on time. Judge among with criminals as very motivated Richard Schwartz; Jose; so called Administrator of the Ambitions 184 place (who, probably, also “declared” under the oath) and 2 representatives of “terrarium” as Harbor Regional Center (including criminal so called counselor Mishelle Monserro (who should spend the rest of her life in the prison without parole) committed next in turn crime…. TO STOP FURTHER HUMILIATION OF MERCILESSLY TORTURED INNOCENT CREATURES HEALTH SYSTEM MUST BE REORGANIZED. In consistence of abstracted responses, absence of coordination among numerous involved parties show the meaningless of huge army of wrongdoers. What why “servers” of the System panicky afraid of publicity. Corrupted and criminally organized structures of Mental Health System are convulsively fighting for holding its positions and privileges. Full scale investigation must be conducted by INDEPENDENT, DECENT PROFESSIONALS WITHOUT ANY SIGNS OF LOBBYISM. Health System must be reorganized TO STOP further humiliation of mercilessly tortured innocent and speechless disabled people. Please help me bring immediate attention to this case and help me save my daughter’s life!! !